How do I recognize senility and cognitive dysfunction in my dog? More and more pet owners are noticing a ‘behaviour problem’ in their older dogs that affects canines the same way Alzheimer’s disease affects humans. This syndrome has been named ‘Canine Cognitive Dysfunction’ (CCD) or ‘Cognitive Dysfunction Syndrome’ (CDS). 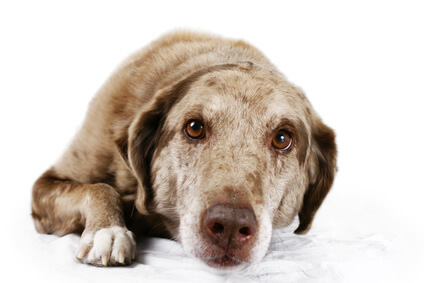 Recent studies have shown that many older dogs with geriatric behaviour problems have lesions in their brains similar to those that physicians see in Alzheimer’s patients. Confusion or disorientation. The dog may get lost in his own back yard, or get trapped in corners or behind furniture. Pacing and being awake all night, or a change in sleeping patterns. Loss of house training abilities. A previously house trained dog may not remember to signal to go outside, and may urinate or defecate where he normally would not. Decreased attentiveness or staring into space. Not recognizing friends or family members. To make a diagnosis of CCD, other causes of the behaviour problem need to be ruled out. For example, decreased activity may be due to an advancing arthritic condition; inattentiveness may be the result of vision or hearing loss. A dog who shows signs of cognitive dysfunction should receive a full physical examination, have appropriate laboratory tests, and possibly specialized tests such as an ECG. If your veterinarian has determined that your dog has CCD, a treatment for this disorder will probably be recommended. A drug called ‘Selegiline‘ or L-Deprenyl, (brand name Anipryl), although not a cure, has been shown to alleviate some of the symptoms of CCD. If the dog responds, he will need to be treated daily for the rest of his life. As with all medications, there are side effects and dogs with certain conditions should not be given Anipryl. For instance, if your dog is on Mitaban for external parasites, Anipryl is contraindicated. Other management techniques may include the use of antioxidants or ‘senior’ diets. In addition, dogs with CCD should continue to receive regular exercise and play. If the response to selegiline is inadequate or the dog is unable to take selegiline for other medical reasons, there are other medications and supplements that may provide some benefit. If your older dog is experiencing behaviour problems, give us a call. There may be multiple ways to help your pet have a more happy and healthy life in his senior years. Do cats get Alzheimer’s? Is it normal behavior for a senior cat, or is there a problem? 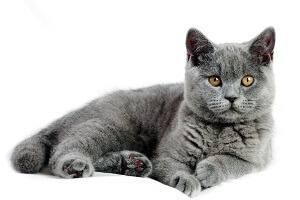 Here is a list of the most common signs seen with senior dementia in cats. As with all behaviour changes, please see your veterinarian first to rule out a medical problem first, as many diseases can have the same signs. Every cat has a certain level of “talkativeness” some are always quiet and purring, some meow about everything. The change seen with senior dementia is one of increased or excessive vocalizations, and not just a simple meow. They may appear confused and not totally sure of their surroundings while vocalizing, and this behaviour is more common at night, often waking up the household. It is important to remember other possible causes of new or odd vocalizations, such as pain (arthritis or injury) or in some cases, changes related to hyperthyroidism. Some cats will “forget” their years of proper litter box behaviour with senior dementia confusion. Inappropriate urination or defecation can be symptoms of many diseases, and should always be checked out first to rule out an infection or impaction (constipation). Like most of the behaviours on this list, lack of grooming may be a sign of many diseases, in addition to just not feeling well. Senile cats no longer care about keeping their coat in good condition. If the cat is overweight, that may contribute to the problem — it may be too difficult to reach all areas. The cat may appear to be anxious at night, or get the days and nights mixed up; sleeping peacefully all day then stressed/vocalizing at night. Some cats appear to develop a separation anxiety at night. Admittedly, this may be hard to discern for many cats! It is the change in behaviour that people notice. Again, this is a change in behaviour, noticed when the cat doesn’t respond as would be normally expected. Not seeming to recognize family members (or other pets) or becoming stressed under “normal” conditions may indicate senior dementia. This type of behaviour is also a product of pain, so care should be taken to rule out arthritis, injury, etc. Cats suffering from senile dementia may “forget” to eat. Of course, there are many reasons why a cat would have a decrease in appetite or discontinue eating all together. This is something that needs to be investigated as soon as possible for any age cat, especially seniors. Cats that go without food for too long are susceptible to hepatic lipidosis. If you notice some of these signs with your cat, keep a log of what behaviours you have noticed, the time frame or how often you notice these behaviours, and make an appointment to discuss. As noted above, the first step for any behaviour problem is to rule out any medical causes first. For example, if your cat is urinating out of the box and never did this before, we will want to rule out urinary problems before addressing senior dementia changes. New evidence, similar to findings in humans, suggests that antioxidants in the diet may promote cognitive health and slow the process of decline. Nutritional support products for cat include Senilife by Ceva.